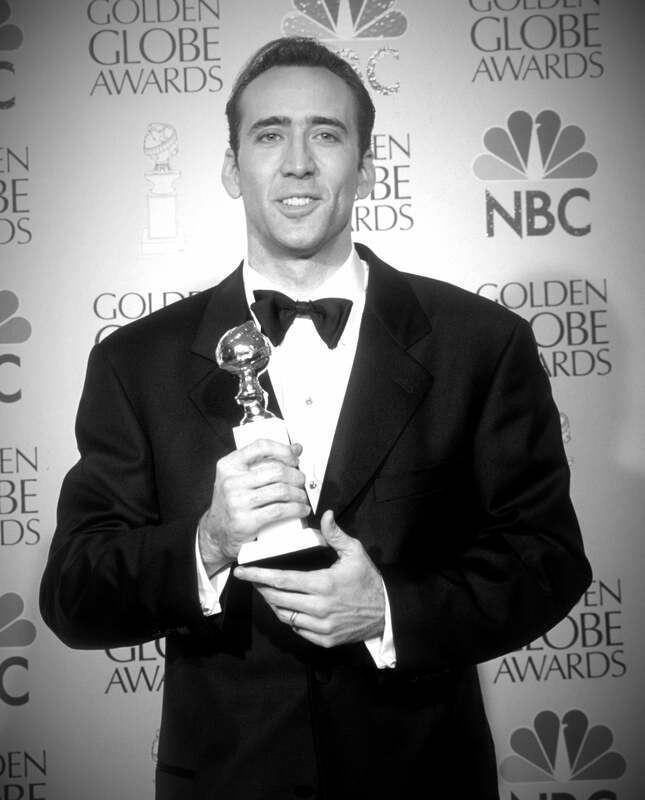 Nicolas Cage wins the Golden Globe for Best Actor, Drama in 1996, for Leaving Las Vegas. For over 40 years the HFPA has recorded famous and celebrated actresses, actors and filmmakers. The world's largest collection of its kind - over 10,000 items- is now in the Academy of Motion Pictures Arts & Sciences Margaret Herrick Library. In this excerpt from our archives, Nicolas Cage describes working with James Caan in the 1992 comedy Honeymoon in Vegas. Cage would be nominated for a Golden Globe for his performance, his second nomination after Moonstrsuck in 1988. Four years later he would win the Golden Globe for another, very different picture set in Vegas - Mike Figgis' somber Leaving Las Vegas. "James Caan is like crossing a rooster with another rooster. You get a very angry rooster. Jimmy Caan’s very unpredictable and has a totally different approach to acting than I have. He likes to be intentionally unprepared so that things happen accidentally. I like to have an idea of where I'm going and mix it up with a little spontaneity. He would constantly try to get some sort of shock out of me. In one scene, for example, a poker game, out of camera range he surprised me by waving a switchblade. Now, if I were 19, and hadn't been doing this for 11 years, it might have been helpful, but I didn't need that. I can get there on my own, in my own time. So I said, "Jimmy, that's great. Thanks, but you know, it's alright. You don't need to pull a switchblade out on me. Our approaches are different, that's all." After I'd say my lines, he'd stop and say, "Nicolas, if you ever come unprepared again, we're all going to go home and forget about work." But when I look at the movie, I'd have to say the balance is pretty good. I changed my name from Coppola to Cage. Other young actors, I suppose, felt that I couldn't act because I was related to such a powerful director. All casting directors wanted to do was talk about what my uncle Francis was doing. I had a lot of proving to do. Since then my movies speak for themselves."